School is back in session for many families around the country. Students starting new schools, students returning to the same school, and students starting school for the very first time…..and teachers starting school again, too. I posted this last year, so this is a post from the vault. I really just love this picture book – good for sharing with anyone who has those first day jitters. It is the first day of school. Sarah Jane Hartwell hides under her covers and says she isn’t going to school. It’s a new school, and she doesn’t know anyone there – and she doesn’t want to go. Mr. Hartwell tries saying different things to reassure her, and to get her out of bed. Finally Sarah tumbles out of bed and gets dressed. Mr. Hartwell drives her to school. Her hands feel cold and clammy. She is nervous. Mr. Hartwell points out the school principal. Mrs. Burton shows Sarah to her classroom, reassuring her along the way through the crowded hallways. Then, Mrs. Burton introduces Sarah to the class. And, in a nice twist, we learn that Sarah is the teacher. This is a fun picture book for the start of a new school year, or for children switching schools after the school year has started. The illustrations don’t show enough of Sarah for the reader to guess that she is an adult – keeping the surprise until the end. Sometimes it helps if children know that even teachers get nervous the first day of school. 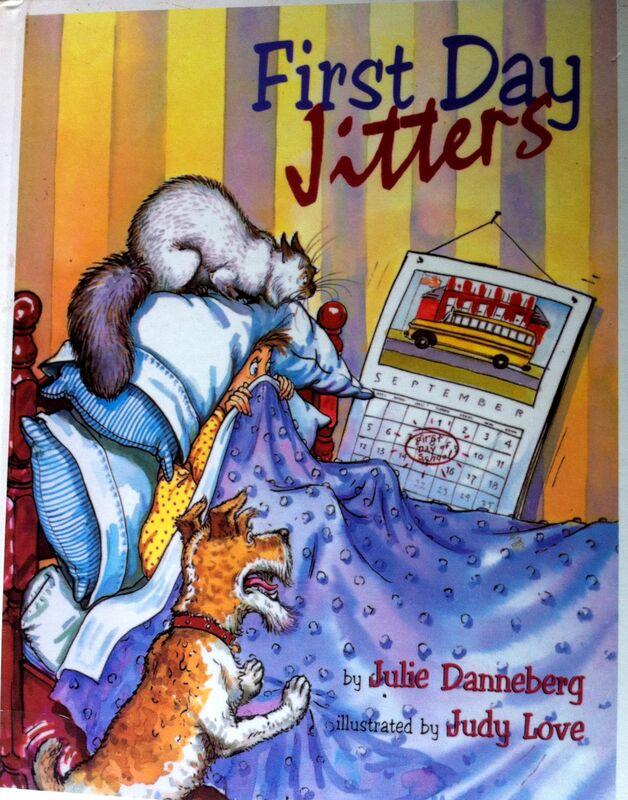 A good picture book to share as the start of school approaches.